The Hawaiian Islands, including Maui, are located on top of a geographic hot spot. A hot spot is an area within the Earth’s mantle that releases heat. 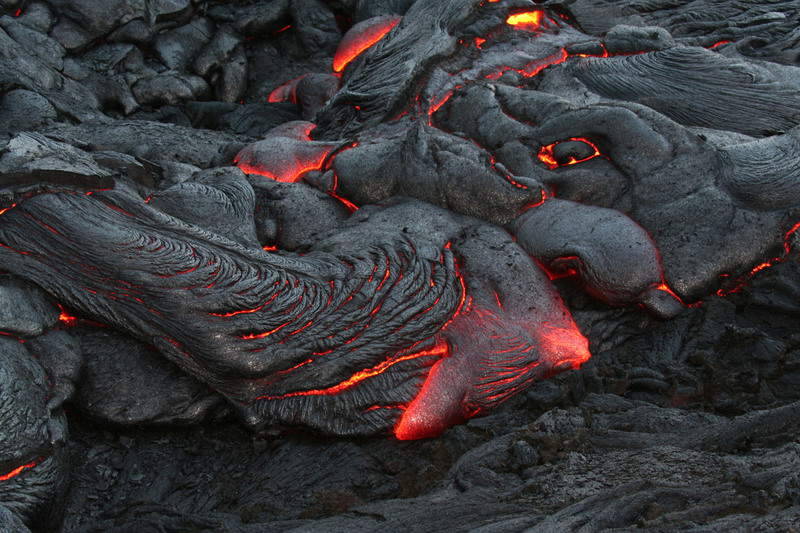 This heat forms magma that is eventually pushed to the surface and released through volcanoes. The Hawaiian Islands were formed by the largest volcanoes on Earth. This means that some major volcanic activity has happened here throughout history to form the beautiful islands as we know them today. 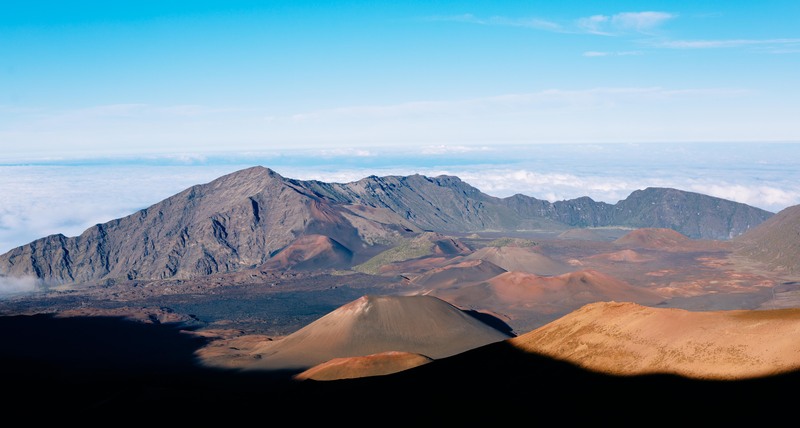 The largest dormant volcano in the world, Haleakalā, makes up a large part of Maui. Mount Haleakalā is also called the East Maui Volcano. Haleakalā is considered a dormant volcano because it has not erupted in a long time, but it could erupt again in the future. Haleakalā is a huge shield volcano. A shield volcano is a wide, domed volcano with gently sloping sides. Haleakalā was built almost entirely of lava flows. When shield volcanoes erupt, they release a highly fluid form of lava called basalt that travels farther than lava erupted from stratovolcanoes. Shield volcanoes are the largest volcanoes on Earth, but they are not very steep. The flowing lava does not pile up, instead, it flows easily downhill which gives Haleakalā its unique shape. Haleakalā has erupted at least ten times in the past 1,000 years. The last eruption occurred sometime between 1480 and 1600 according to scientific records. The history of Haleakalā and its recent activity indicate that the volcano will erupt again in the future. Although studies indicate that Haleakalā will erupt again, the volcano is currently dormant. The volcano is currently being monitored as a moderate priority according to the National Volcano Early Warning System. The highest priority volcanoes in Hawaii are Kilauea and Mauna Loa because they are both active volcanoes. Volcanoes are monitored using a seismograph which records earthquake motion. An increase in the number of earthquakes in a volcano mean that the volcano has become restless. This is an important monitoring tool because a series of earthquakes usually occur before an eruption happens. Shield volcanoes, like Haleakalā, are usually not explosive when they erupt. So, they do not pose a large risk to people as long as they are not on the rift zones. Instead of exploding, they release a fountain-like flow of lava that forms cinder cones and spatter cones. Both cinder cones and spatter cones from past eruptions can be seen in Haleakalā Crater. These cones resemble mini volcanoes inside the crater. If Haleakalā does erupt again in the future, the areas that would receive the most volcanic activity are along the southwest and east rift zones. These rift zones are areas where the volcano is cracking or splitting apart. These cracks make the area weak so magma can easily come to the surface here. These rift zones pass from La Perouse Bay, through Haleakalā Crater, and onto Hana. Erupting shield volcanoes are known for being rare spectacles. An eruption draws in tourists from all over the world. The eruptions are usually ground flows of lava so visitors are able to witness the event from many vantage points all over the volcano. If you have the opportunity to witness a shield volcano eruption, it is important to keep a safe distance from the hot lava. Lava from shield volcanoes flows like water by choosing the path of least resistance. So, the areas closest to the rift zone are at the greatest risk for receiving lava flows if Haleakalā would erupt in the future. Scientists predict that Haleakalā will erupt again within the next 500 years. Scientists closely monitor Haleakalā and the other Hawaiian volcanoes everyday to watch for anything could indicate a possible eruption. About the Author: Skyline Hawai’i is committed to the preservation of Hawaii’s landscape and culture, and we want as many people as possible to experience the natural wonder of the Hawaiian Islands. Learn more about our conservation efforts: www.skylinehawaii.com.